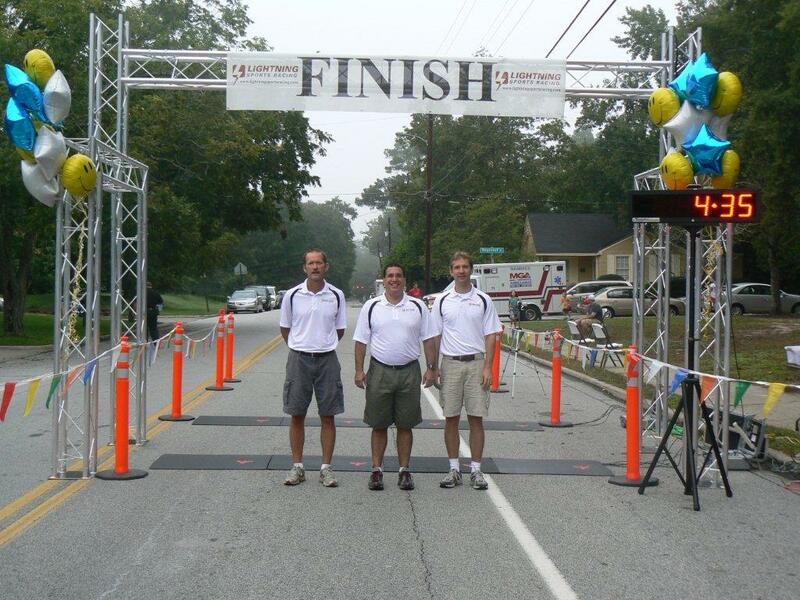 We are a group of passionate runners and race event managers. Over 15 combined years experience in race management and timing and over 20 years of experience in the IT field make us uniquely qualified to manage and/or time you next event. We have participated in over 30 marathons and numerous other running, triathlon and cycling events and provided event services for many more. Give us a call at 706-225-9450 to discuss how Lightning Sports Racing can help make your next event a success. Reggie is the owner of TracSoft a technology services company in Columbus. He is involved in several organizations including Columbus Roadrunners as board member, Columbus Sports Council as board member, Rotary Club of Columbus, Columbus Chamber of Commerce and Westminster Presbyterian Church as Deacon. Reggie has been a committed runner for over 25 years and has competed in numerous running and triathlon races over those years including completing 9 marathons. Reggie is a past President of the Columbus Roadrunners but is currently serving in the role of race coordinator. He has served as director for many races in the Columbus area and helped start several races from the beginning. Reggie’s wife Carolee and two daughters Tiffany and Ashley are very involved with running. Carolee is also a board member of the Columbus Roadrunners and Ashley is currently a scholarship runner on the Valdosta State cross country team. Roy is a dedicated runner with a long history of technology and race management. He has completed over 20 marathons and many other races of varying distances. Has served on the Columbus Roadrunners board for many years and has been involved with all aspects of race management functions. Roy has a Master's Degree in Computer Science and his technological background serves LSR well in the every changing world of high tech race timing.